eaw015680 ENGLAND (1948). 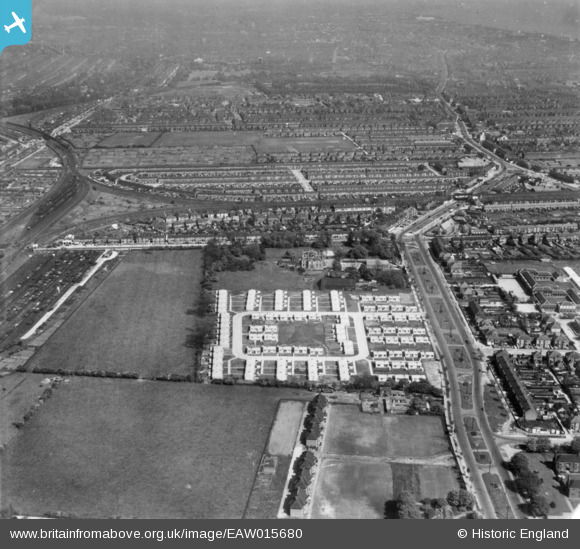 Pre-fabricated housing around Arcon Drive and environs, East Ella, 1948. This image has been produced from a print. Title [EAW015680] Pre-fabricated housing around Arcon Drive and environs, East Ella, 1948. This image has been produced from a print. Coaling tower at the Botanic Gardens engine shed.